It has been reported that Southampton are resigned to selling Calum Chambers to Arsenal in the coming days. The Daily Echo, with close ties to St Mary’s, says discussions are believed to have taken place between the clubs, although the Gunners are yet to formalise their offer for the 19-year-old. 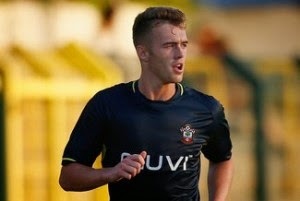 Saints have agreed to enter into the talks as the sum of money being spoken about represents a huge amount for a teenager who has just one season of first-team football under his belt. The club also have Nathaniel Clyne in place, with the two players having split time almost equally at right-back last term. Southampton are expected to push Arsenal to meet their £16 million valuation before selling Chambers.